Since the start of our partnership at the beginning of this year, we have been blown away by your tireless commitment to support Great Ormond Street Hospital Children’s Charity. There have been some incredible activities taking place including sponsored head shaves, tough mudder runs, bake offs and great walks! So far, your incredible support has raised enough to fund two brand new defibrillators and one of the hospital’s amazing play workers. Play Workers provide a vital role for the children being treated at GOSH by using innovative strategies to help make the child’s experience of being in hospital as stress-free as possible. Their role ranges from helping children to understand their treatment, by using creative techniques to explain procedures, and to ensuring that children still have the chance to play, even when they are ill.
‘I’ve been at Great Ormond Street Hospital for 10 years. My role as a play specialist focuses on using play as a therapeutic tool to help children cope with their fears and anxieties by preparing them for their operations and procedures and to provide general play to help children take their minds off being in hospital. We create a child-friendly environment so it can feel like a home from home. We have group sessions of story reading, music and painting. I also help children to understand their treatment and help to make their time in the hospital as stress-free as possible. If children become very unwell, my work is in supporting the families too. Having to deal with your emotions when children become very poorly while remaining professional is the biggest challenge. I imagine if it was me, I wouldn’t want to do anything, but the children are amazing. They still want to play. 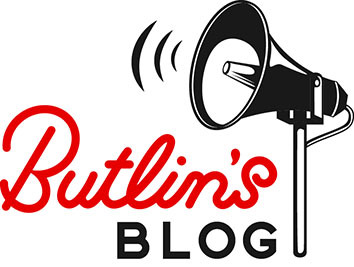 We are so grateful for Butlin’s amazing support, which means that a play worker can provide this essential service to children at the hospital for a whole year. We’re really excited to continue working with you over the next few months. All the money you raise will be going towards funding essential equipment used to diagnose children with leukaemia, lymphoma and tumours. I work in the Corporate Partnerships team at Great Ormond Street Hospital Children’s Charity and manage our amazing partnership with Butlins. I get to support all of the fantastic activities and challenges that Butlin’s team members and guests are taking on to support GOSH this year as they aim to raise over £150,000 to support our work!